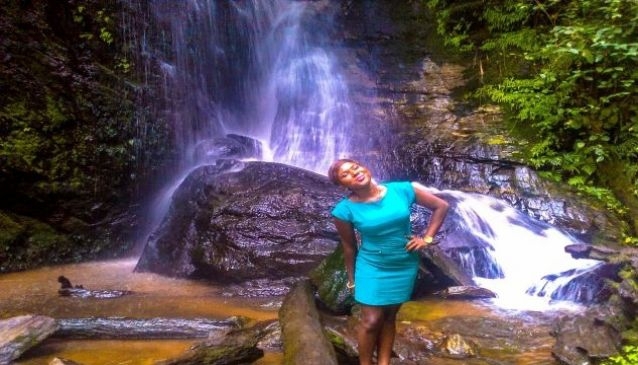 Erin Ijesha (Olumirin) is a seven step waterfall in Osun State, Nigeria, the waterfalls is a whole new exciting and awe inspiring experience with nature. Each step of the waterfall has a flowing fountain that marks the mystical nature of the place. Osun State is home to the late priestess (Iya Adunni) of Osogbo Scared Groove and they are also known World wide for their Osun/Osogbo festival which holds annually in the state. 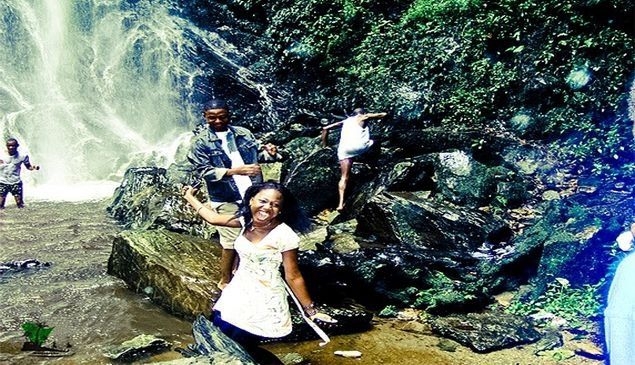 It just happened to be that we where in the state for a friend's wedding and thought to go see the much talked about Erin Ijesha (Olumirin) waterfall. With no map of the place available we had to rely on the friendly locals of the town we met on the road as we drove by. They were all smiles and welcoming, greeting us in their local language i.e Yoruba. After navigating the gallops (a we use word use to describe uneven roads in Nigeria) on the road, we got there in one piece. It was a bit late as we drove to the gate and we were like the last visitors. My friend and I paid an entrance fee of two hundred naira and was provided with a guide. Before embarking on our climb, our guide Mr. Tunde advised us to get a pair of slippers to aid our climbing. When visiting the waterfall, it is advisable to wear climbing boots or comfortable footwears that won't restrict your climbing. The waterfall is a stunning assemblage of seven unique levels, with each level providing a whole new outlook when compared to the previous level. The water fall exudes a therapeutic ambience which only something natural can produce. Climbing the levels of the waterfall is quiet a daunting one for any climber but one that is really exiciting and worth the effort. The first level is so beautiful and astonishing, I have never seen anything like it before in my life. The water flowed with a rhythm and just watching it gives you a soothing feeling. It was so inviting I couldn’t stop myself from having a feel of it; I needed to feel the water on my skin. Not minding my hair, I went in. How it welcomed me with a full embrace like a lost child, it took a lot of cajolingly to get me out of the water. 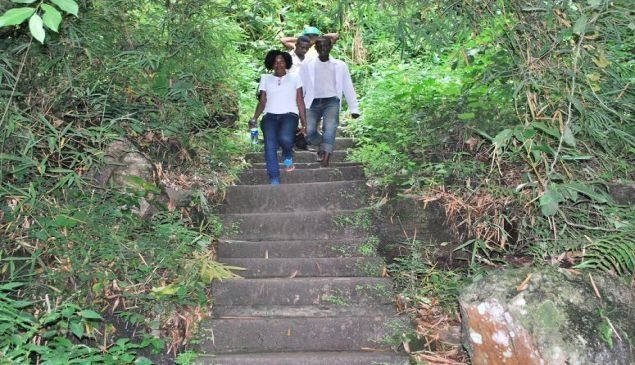 Climbing further through the curves and stones that garnished the elevated landscape, my friend and the tour guide made jest of how I placed my legs on the stairs calling me “Oyinbo” (slang used to refer to foreigners) and they kept asking if I would want to continue. I exclaimed “Oga (Sir) I must see where this water is coming from today o”, they laughed. The second level was a beauty in itself. I thought the first was the most amazing thing I have ever seen but seeing the second I had a change of mind. The water snaked lazily through the height as it picks up it velocity. Yet again I went in to have a feel; the water slapped my flesh excitingly, pumping out like an imprisoned rebel through the thickness of the woods. This time I willing left the water to see what the third fall has to offer. On getting to the third, it was already dark and we couldn’t make much out. Our guide Mr Tunde cautioned us not to go further in order to avoid any accident. How it broke my heart that I won’t get to see the seventh floor, I cried out in dispair “why didn’t I come early”, they laughed at me. As we made our way down, I marveled at the magnificent craft of supreme architecture. I told my friend, "God is so wonderful, just take a look at how this fall structured itself" With a promise to come back again and complete what we started, we paid the tour guide and said good bye. Looking back at the fall as we made our way home, I had so many things pondering in my mind, like how this place came to be, what is the source of the water and does it ever get dry? I made a mental memory of it and vowed to ask on my next visit. 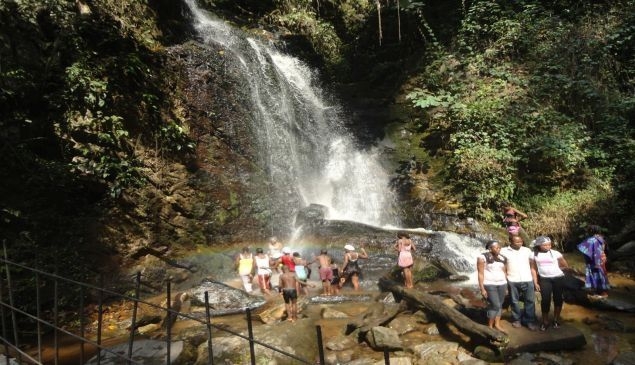 The waterfall is a site any tourist would crave to visit and widely touted to be one of the unsung wonders of nature. 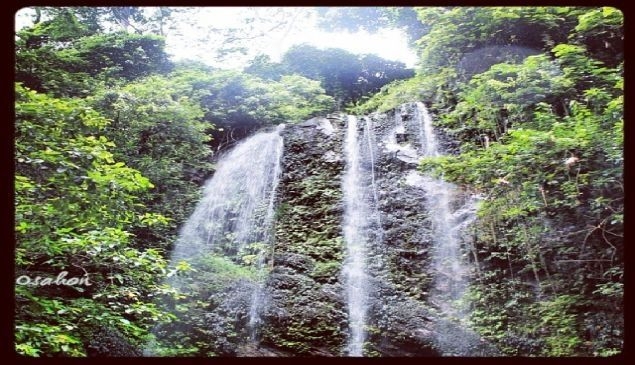 You can share your experience at Erin Ijesha(Olumirin) Waterfalls, on our twitter @mydnigeria account.